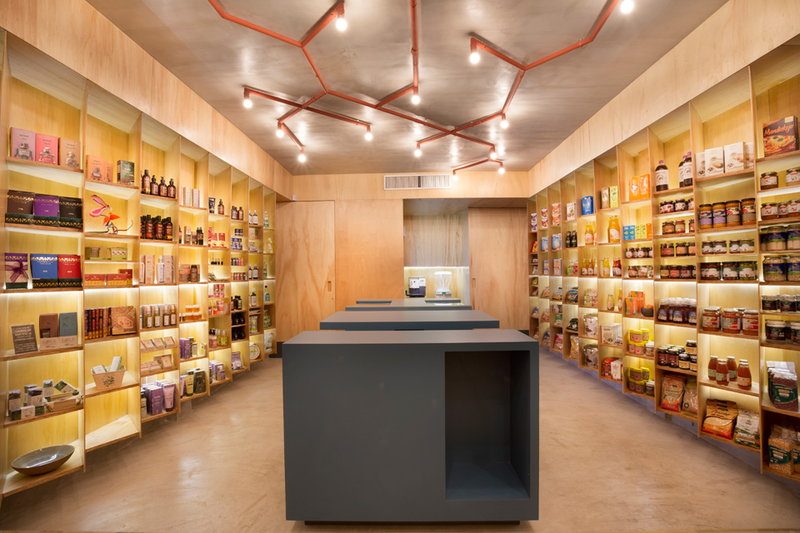 Brazilian practice MACh Architects has completed an organic chai-cafe and retail space in Belo Horizonte that is named after Guru Nanak Dev and based on three principles of Sikhism: health, happiness and holiness. 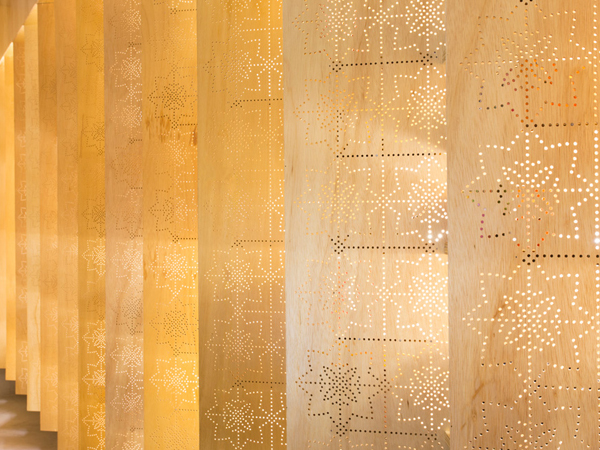 The wall panels lining the space are perforated with patterns inspired by iconography found at the Golden Temple in Amritsar, India, while the central display island can be easily reconfigured to allow for special events and displays. 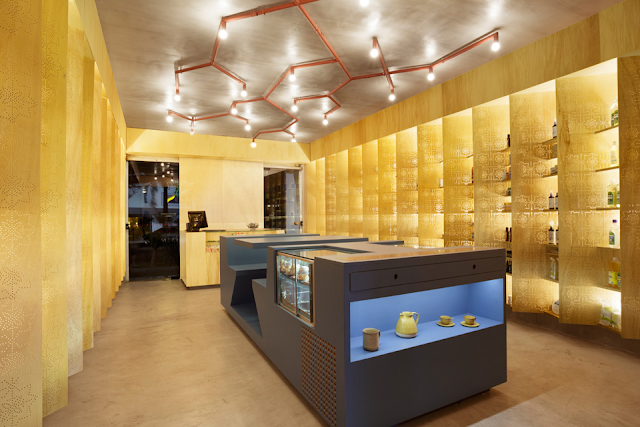 The subtle spirituality of the space is perfectly in line with our autumn/winter 2014/15 macro trend Modern Myth, which explores a world filled with infinite stories.